Harry Kane is a statistical anomaly. Undoubtedly the best English player currently playing, Kane should have slipped through the cracks. Seemingly unwanted at Tottenham, as they embarked on a succession of managers with varying degrees of success, Kane was sent out on loan to Leyton Orient, then Millwall – after making his Spurs debut – then Norwich City and finally, famously, to Leicester City. In an ironic twist, the youngster spent time alongside Jamie Vardy on the bench at the Foxes, Nigel Pearson seemingly unwilling to throw either into the pressure-cooker of Championship football. He returned to Tottenham under Andre Villas-Boas, but found himself behind the much-maligned Roberto Soldado and the languid Emmanuel Adebayor in the pecking order. Tim Sherwood, who replaced Villas-Boas after a turgid start to the season, saw something in Kane and, upon taking the reigns, introduced him to regular first-team football. He played in each of Spurs’ final six matches of the campaign, scoring three times, and suddenly, a striker with a clinical touch was playing up front for Tottenham. While Sherwood did not stick around much longer, with Spurs replacing him with Mauricio Pochettino, Kane again blended into the background, with fans urging Pochettino to bring him into the fold as the club fell to defeats against Liverpool, West Brom and Manchester City without him. A 32-minute cameo against Aston Villa, culminating in Kane scoring the winner from a deflected free-kick set him on a path to stardom, and perhaps towards the scoring record held by Alan Shearer. Pochettino has since labelled the goal against Villa as his favourite of Kane’s. Shearer scored 260 goals in the Premier League for Blackburn Rovers and Newcastle United, and Kane is already heading down the yellow brick road towards his record. Kane is, indeed, a more complete striker than Shearer already, though that is not to say that he has scored more goals than the former Newcastle star had at this stage in his career. After 123 games, Shearer had scored 99 goals, while Kane has scored 84. Yet Kane has played almost 800 minutes less, and the spread of his goals is already more even. Over his entire career, Shearer scored 20 Premier League goals with his left foot; Kane already has 19. Kane has also scored 54 goals with his right foot and 11 with his head. 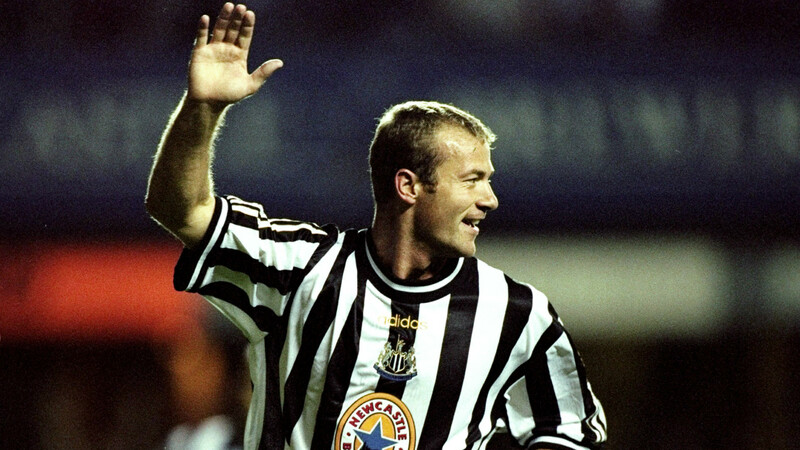 Shearer, over 123 games, had 78 with his right foot and 12 headers. It is not a leap, then, to suggest that Kane is more rounded than Shearer, more willing to shoot with his weaker left foot, and, perhaps, more able to. 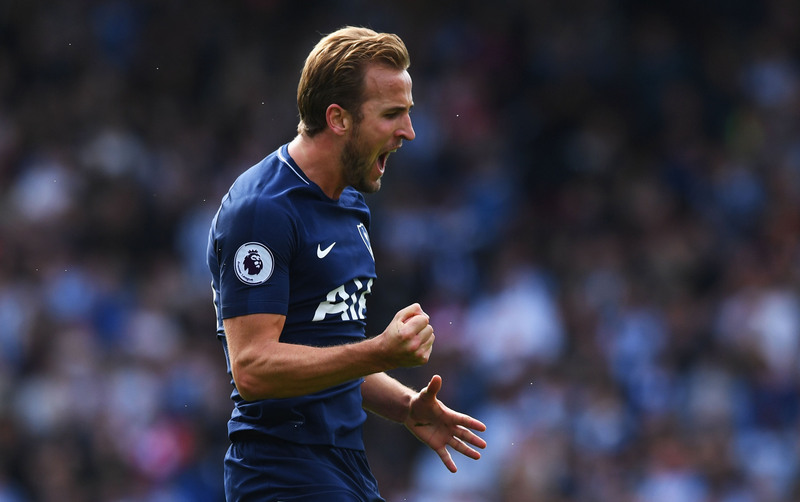 Kane is unlike any other striker when it comes to his physicality, too, with his combination of deceptive pace and power in his upper body making him a nightmare for opposition defenders to mark. Kane can drop deep, too, and form part of the supply line to other players. Indeed, Kane already has 34 assists to his name. A manager’s dream, much has been made of Kane’s bid to become England captain this week, and there would is no finer candidate. A role model, a professional in every sense of the word, and a truly feared finisher, there is no better option out there. Indeed, Shearer captained England 34 times. Portugal’s captain is Cristiano Ronaldo. Argentina have Lionel Messi. Germany Manuel Neuer. England have their pick between Kane, Gary Cahill or Jordan Henderson. Only one of those names deserves to be mentioned in the same breath as the hallowed trio that comes before it – the one who could, before the end of his career, become the greatest goalscorer in the history of the Premier League. Indeed, Kane emulated Ronaldo against Huddersfield Town last week, as he scored twice to level the Portuguese’s Premier League tally from his time at Manchester United. Kane has reached his level through sheer hard work and determination. Now is the time for him to be equally revered in this country.